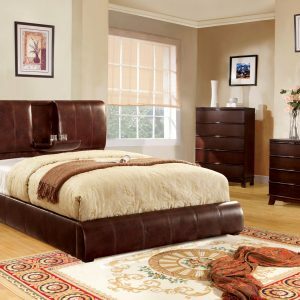 Nothing says luxury quite like a big headboard, the oversized, padded wingback headboard serves as a perfect stage for the beautifully laid-out button tuftings. Tan padded linen helps keep the contemporary feel intact, while the low profile platform ensures easy access in and out of this gorgeous bed. colors available in grey bonded leather, apple green and tan.